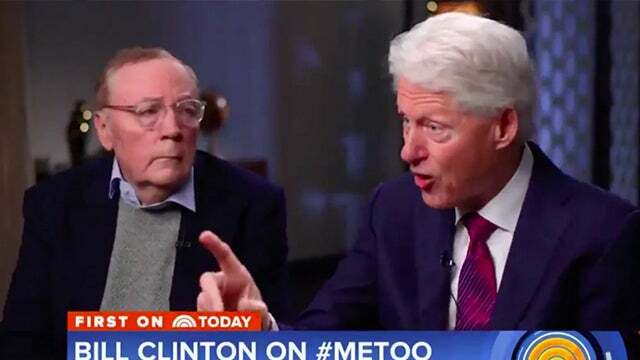 RUSH: Are you all noticing the Bill Clinton-James Patterson book tour? Ladies and gentlemen, this thing is an abject disaster. This is the kind of thing… Mr. Snerdley, this the kind of thing we had hoped for. This is the kind of media examination that we expected during the presidency, during the whole Lewinsky thing and in the immediate aftermath, and it never happened. Now we’re learning, I think, why Hillary hid Bill through much of the presidential campaign. Remember everybody asking why…? Here’s Bill Clinton, one of the greatest campaigners, been elected president twice, is his wife’s biggest advocate. Where is he? I think we know why. The guy melts down. He melts down! He cannot handle questions from the Drive-Bys. And did you…? Boy, he seems stunned and shocked that they would even go there. Somebody really missed the keys here because we’re right smack-dab in the #MeToo movement. Bill Clinton may know it or not, but he’s been thrown under the bus. 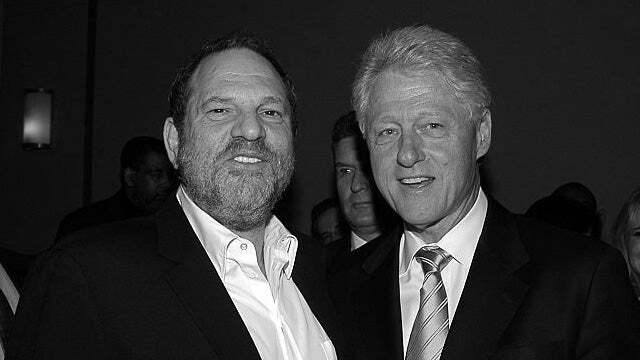 Since the Harvey Weinstein story happened, Clinton’s been thrown under the bus. How many Drive-Bys have said, using 20/20 hindsight, “You know what? We should have dug deeper into that. “You know what? We shouldn’t have given Bill Clinton a pass.” The signs are all there that they’re laying in wait, and the reason is they’re gonna do anything to get rid of Trump. They will throw Bill Clinton overboard if they have to to get rid of Donald Trump. And Bill Clinton clearly didn’t believe or even think that was possible. And of course if you’re the Clintons and you had all this idolatrized media treatment during your presidency where they sucked up to you like they sucked up to Obama, it might be hard to imagine these people turning on you. But it shouldn’t have been about they have turned on him since the Weinstein stuff broke and the #MeToo movement happened. That wouldn’t have happened if Hillary had won. But she lost, and so anything to get rid of Donald Trump — even if that means throwing Clinton overboard. He totally missed this. So he has got this book with James Patterson and he thinks he’s gonna be out there and be asked about the book and who really wrote it and how do you co-write a book and who came up with the story? I mean, they’re zeroing in on questions with Lewinsky. “Did you apologize?” You know, all these questions related to the #MeToo movement. ‘Cause the one thing these people know in the Drive-Bys and everywhere else: If they’re gonna continue to focus on what they think is this kind of aberrant behavior by Trump, they cannot ignore it when they’re face-to-face to Bill Clinton. Not with Juanita Broaddrick out there reliving minute by minute when he raped her. Not when that’s going on and not with Kathleen Willey out there and all these other victims of Clinton out there. They cannot give Clinton a pass, and they aren’t. It’s clear he didn’t expect this kind of questioning, and it’s also clear he cannot defend or explain his behavior anymore to anyone. I mean, this book tour is a disaster. On CNBC last night, Patterson showed up by himself. And he’s starting to chastise people. (summarized) “It was 20 years ago. Can’t we let it go? Come on. It was then. It’s a long time ago.” That kind of defense usually has worked when Democrats use it with the Drive-By Media. And notice…? Notice also, my friends, from whom else we are not hearing? We sit here and we marvel at it. RUSH: This is Joe in Danbury, Connecticut. You’re next. Hi. CALLER: All right. Great. Hillary is gonna escape justice unless her secret motivation is exposed — and I know what it is. Hillary has always had a secret vendetta against the American people. The open borders, the climate hoax, no jobs, no hope aren’t exactly gifts to the American people. So’s her revenge. She’s the most slighted female in American history. I know you agree she’s a fraud. Every sociopath without exception is a fraud, and they know it. Our country is suffering from Hillary Derangement Syndrome because of her lies. That’s it! 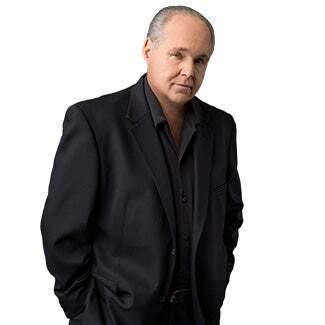 RUSH: Well, I do think that Mrs. Clinton has been driven to a very unfortunate mental, psychological state by decisions that she has made in life — and I’m serious about this, folks. I do believe she is the most betrayed, cheated-on woman in America, and not just in her marriage. The Democrat Party has thrown her under the bus despite the fact that if it were not for her, the Democrat Party would have ceased to exist in the nineties and her husband might not have lasted as president. The fact that she stuck with this guy during every one of his affairs… Now, look, I know they were a team, and she was well aware of it, and was even on “the bimbo eruptions” team to destroy the women that came forward. But this guy put it at risk. This guy put the team at risk. And she, in terms of being publicly humiliated, was the one who was. I mean, she was the cheated-on wife. He’s out there gallivanting around with whoever he could find. Many of them we know. She stood by it. She expected to be repaid for this by being nominated and elected president — and she was on track for this in 2008, and they threw her overboard for Barack Obama. I cannot tell you how betrayed she felt and how angry she was, and she had to keep that bottled up because she was gonna give it another go later on. She did not want to be Obama’s secretary of state, but she had to do that because Obama paid off her campaign debts. Obama kept her around under the theory: Keep your friends close, your enemies closer. He wanted her inside the tent doing whatever she was doing rather than outside, you know, acting as a less-than-supportive person, perhaps even saboteur. And all of that, they were working together. Obama at the Democrat convention in 2016… I mean, this is so over the top, this is ridiculous. Obama saying, “There was never, ever in American history has there ever been anyone more qualified to be president than Hillary Clinton,” and Bill’s in the audience. (impression) “Bill, you know, we may not like hearing this ourselves, but you and I we both know, we can’t hold a candle, not at all, to Hillary.” (laughing) It’s a joke! But this was the kind of treatment that she expected and that was extended to acknowledge, you know, she’d eaten that excrement sandwich out there for I can’t tell you how many years — and then they wanted Trump to be the nominee. Something that’s not spoken much. The Democrat Party chose three of the 16 Republicans to promote as the nominee, as the easiest to beat: Trump, Ted Cruz, and I forget who the other one was, but it wasn’t Jeb Exclamation Point. ‘Cause that’s who everybody thought was gonna win ’cause Jeb Exclamation Point threw $100 million into the race. And nobody thought Trump was gonna win anything. She wanted Trump. Every time Trump was doing something to make himself known, laughed at, whatever, they promoted it. They thought it was gonna get Trump embarrassed and defeated. Nothing went the way she planned it. She starts all this in a pit of resentment at Wellesley. She got thrown off the Watergate team because she was trying to deny Richard Nixon his constitutional legal rights. She’d been a malcontent for I don’t know how long over a whole lot of things. In her mind, she was the brains that got her husband elected, that kept her husband in office. She resented being thought of as a wife in a traditional wife-y supportive role. That’s why the comment, “I’m not some Tammy Wynette standing by my man baking cookies in the kitchen here!” So the sum total… At Wellesley where she was a student, it was thought that this woman could write her ticket — this is the image that we were presented — and she subordinated all of that to hitch her wagon to this guy from Arkansas because everybody thought this guy was going places. He was gonna be president. So her modus operandi was to attach to him and take over wherever he went — Arkansas AG, Arkansas governor, then president. She got health care. She was given health care as a project during the first Clinton administration, and she blew that. That bombed out. She simply hasn’t had a whole lot of successes that would make you happy. She starts out resenting… The feminist movement grabbed her early, and she resented so much of mainstream American culture as feminists in the modern era were taught to do. So the bottom line of all this is she truly is resentful and angry, and part of her modus operandi was there were people that were gonna pay for what they had done to her, and that was gonna happen when she became president. So she had all the wrong motivations. She had anger as a motivation, get even with people as a motivation, expectation, entitlement. All the wrong reasons. That’s why she didn’t campaign, aside from the fact maybe she physically couldn’t because of her ill health. But there was also the sense of entitlement and the belief the Republicans could not possibly win especially after Trump got the nomination. So she phoned it in, and you can tell she can’t get over it. She can’t stop talking about it! She has no ability whatsoever to let the bitterness go. She is slowly poisoning herself, and it’s been going on for decades. She’s a deeply bitter and resentful person — and if you look at it in certain ways, you can understand it. And I guarantee you, when these Trump rallies happened and the audience is shouting, “Lock her up! Lock her up!” don’t think she’s laughing that off somewhere. Don’t think, “Well, she a public figure. Public figures get used to these things.” No. No, no, no, no, no. If people were shouting “Lock him up!” about Obama? Oh-ho-ho! Folks, you would not want to be around. Authoritarians, totalitarians do not tolerate that kind of disrespect from subjects. It just… I guarantee you she resented that. Obama campaigning for her didn’t really ask people to the vote for her. He asked people to vote for him. Stop and think of that. You’re Hillary Clinton, you’re running for president, and there’s Obama, the president, running around (impression), “If you want my third term, if you want me essentially to be continuing here, then you’ll vote for her.” You think that went over well? People thought, “Ah, she doesn’t care, Rush! She wants to win. Whatever it takes.” No. None of this, none of this has gone as planned, as dreamed, as any of that — and now her husband is out there, and his book tour is an absolute disaster, with the #MeToo movement now capturing him. So I think old Joe here from Danbury, Connecticut, is on to more than he may even realize.